On a whim I decided to step out of my comfort zone and join a quilting class. I went in not knowing anyone, but left making a few acquaintances. I was initially very intimidated because all the women are older than me and they are all very experienced, but the women at my table turned out to be nice. On the plus side I will have lots of people to ask questions! The instructor is AMAZING and so patient with me. She even showed me how to do a little hand quilting. I would love to work on a Hawaiian hand quilt project for my wall. 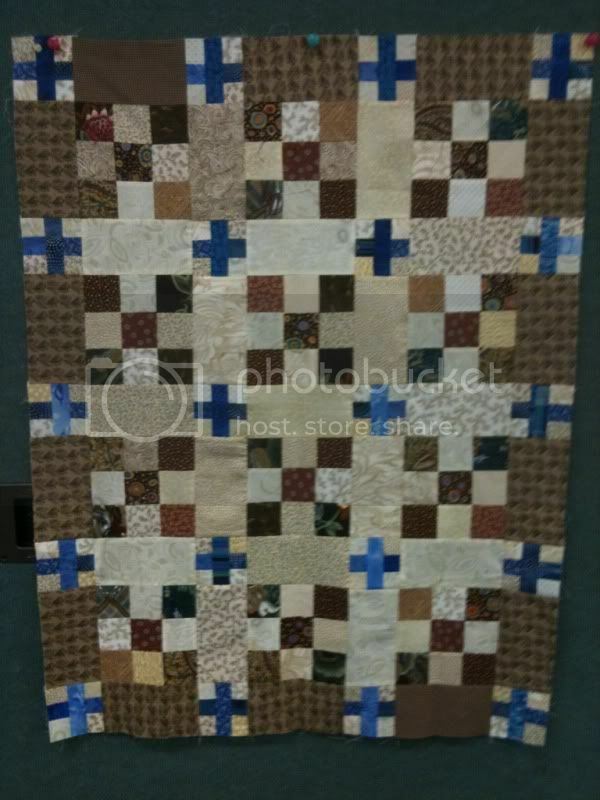 Our class project is to make the quilt pictured above. I can't wait to make mine! I already have some Civil War reproduction fabric in mind from Quiltin Cousins. I will keep everyone posted on my progress. Once I get the basics down I would like to make a quilt for Luke and I... I think I have too many projects going on.